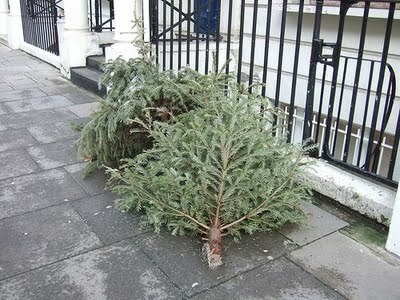 In London alone, it is estimated that most of the 976,000 Christmas trees in the capital will be simply thrown away. 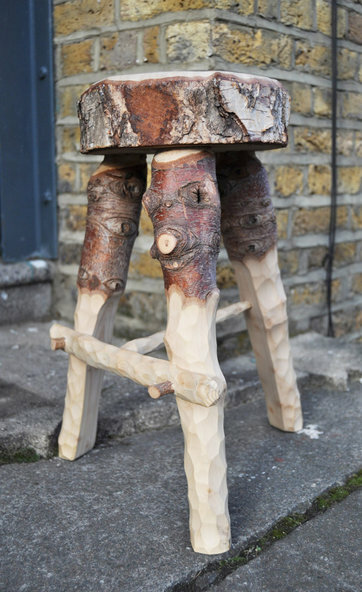 The Christmas Tree project, a continuation of Fabien Cappello's 2009 RCA graduation work, will see Christmas trees from across London being collected and reincarnated into stools. Making the perfect Christmas gift, the gallery is inviting people to arrange an early January collection of their tree and place their order for a pretty handcrafted Christmas Tree Stool by rising designer Fabien Cappello. A percentage of profit from the Christmas Tree Project will be donated to the Woodland Trust. 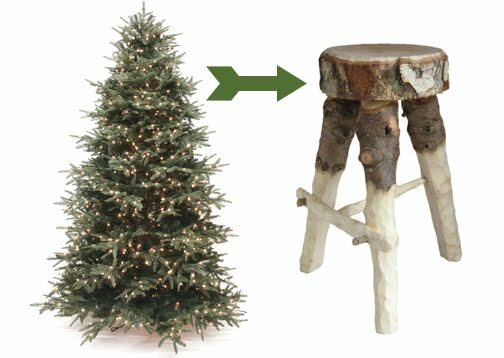 Except that stool is made of birch, not pine/fir? Also, I'd like to see the family using a christmas tree of enough circumference to get a seat like that! What an amazing idea... 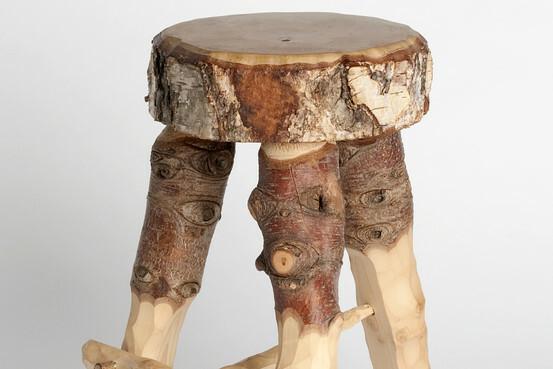 I hate cutting down real trees, but is you are able to recycle them, I think they could be a viable option.